Great Egrets stop by often, but they usually keep their distance. The other day, one did not see me right across the creek from it, and I was able to get some shots of it in flight. I am always glad when I can get a look at their legs and feet, because that way I can be sure I am looking at a Great Egret and not one of its look-alikes. 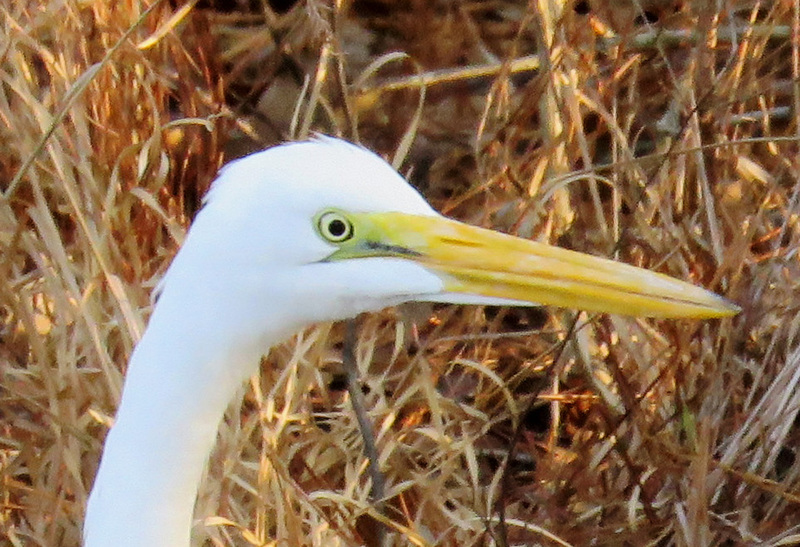 Great Egrets have black legs and feet. 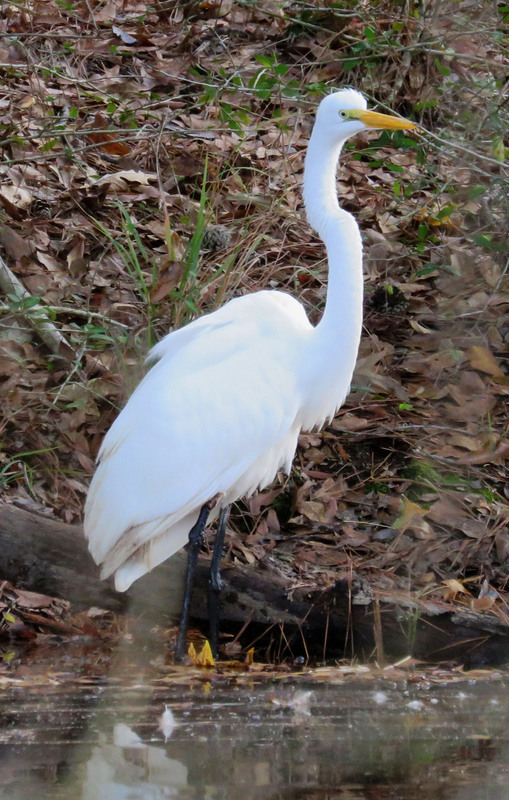 White morph Great Blue Herons have pale, buffy legs, and Snowy Egrets have black legs with yellow feet. When I zoomed in on the pictures of this bird, I saw that it has something wrong with its upper right leg, a swollen raw spot (which I am not going to show you, because it is too depressing), and about half of its tail feathers are missing on that side too. It seemed to be moving and fishing just fine, though. I hope it comes back so I can check on how its leg is doing.